We wrap up the ReelGood Film Festival 2018, our biggest year yet! You laughed. You cried. You danced. You ate burgers. You drank all of our alcohol. You left no donuts for us to eat during the clean-up on Sunday. You watched 31 of the best new Australian short films. Thanks for coming along to the ReelGood Film Festival! 2018 was our biggest year yet, as our promise of coffee, donuts and a Lido Gold Pass enticed a record number of people to our morning sessions. The flood of audience members didn’t end there, with the wonderful Schoolhouse Studios almost bursting at the seams to accomodate everyone who came through our doors in the afternoon. Congratulations to all the filmmakers who had films screened at RGFF18. We were delighted to be able to showcase so many amazing independent short films. The overwhelming feedback has been that 2018 year was our best yet. 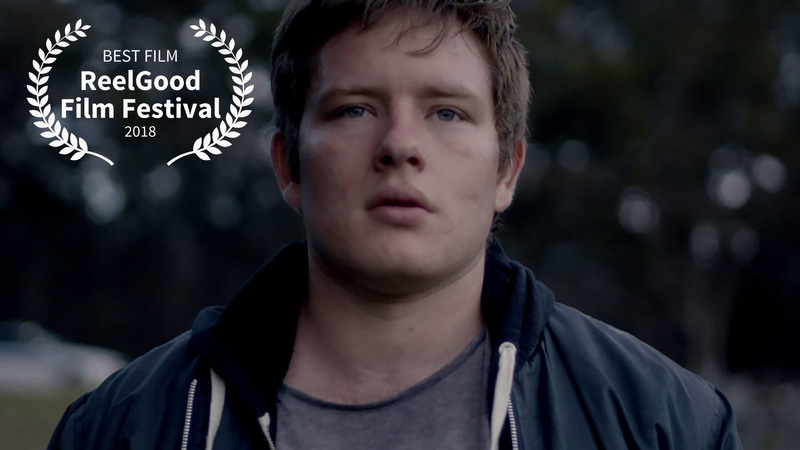 Best Short Film was awarded to Tavis Urquhart’s King, Coward, the story of an Australian youth slowly discovering the tragic circumstances surrounding a drunken brawl that he was involved in. Tavis wins 2-days free van hire from Lighthouse, a professional colour grade from Crayon, a $500 rental voucher from Offshoot Rentals, a digital cinema package from Post Lab io and a subscription to ClubInk from FilmInk. 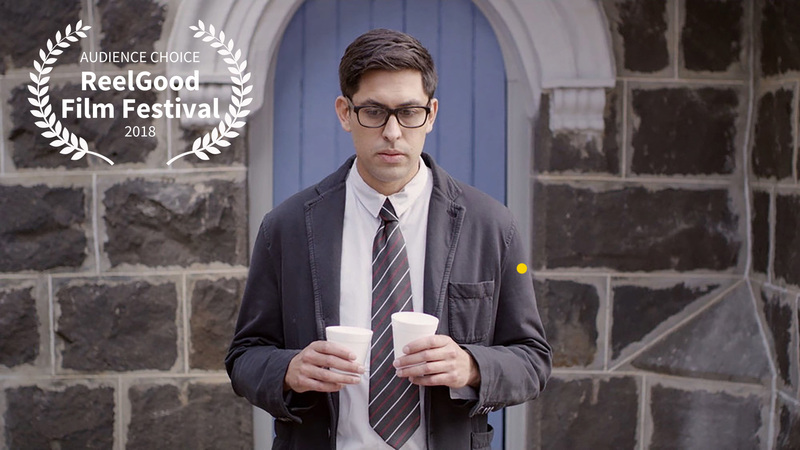 The Audience Choice Award went to Ryan Chamley’s Rey, a comedy that follows a man re-evaluating his life and climbing out of his comfort zone after the death of a colleague. Ryan wins one day of aerial photography from Airtight Aerials, an offline edit consultation from The Tracehouse, a free screening at The Backlot Studios, a digital cinema package from Post Lab io and a subscription to ClubInk from FilmInk. 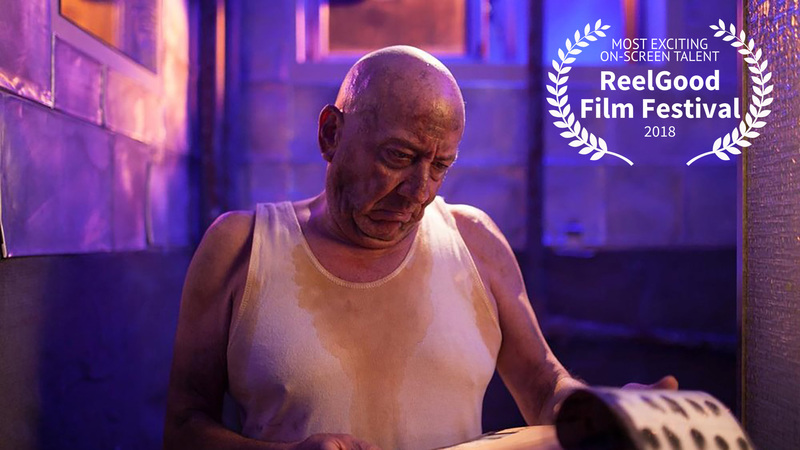 Most Exciting On-Screen Talent was awarded to Michael Carman for his portrayal of Frankie Fingers in Leigh Miller’s Frankie Fingers & the Upstairs Apartment, a science fiction drama about a man attempting to escape the confines of the concrete jungle. Michael wins a $200 voucher for JB Hi-Fi donated by RMIT University, 3 double passes to Cinema Nova and a subscription to ClubInk from FilmInk. 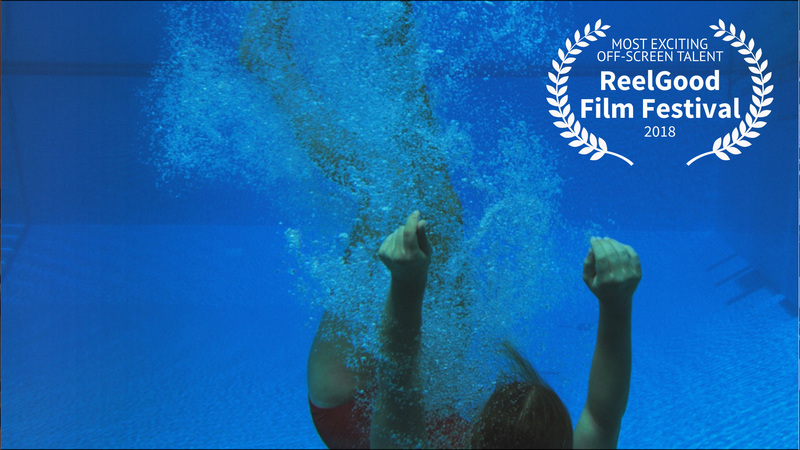 The winner of Most Exciting Off-Screen Talent was Livia Ruzic & Ant Bohun for Sound Design on Kate Lefoe’s Somersault Pike, the visceral experience of a competitive diver facing her fears and taking on new heights. Livia and Ant win a copy of DaVinci Resolve Studio from Blackmagic Design and a subscription to ClubInk from FilmInk. As for the winner of The Lido Gold Pass, using Google’s random number generator, we picked a number between 1 & 50, and drumroll please ……… we swear its not rigged – the winner is check-in #1 – Rhett Hughes! Rhett was a keen fellow and checked in at 10:09AM! Well done Rhett! 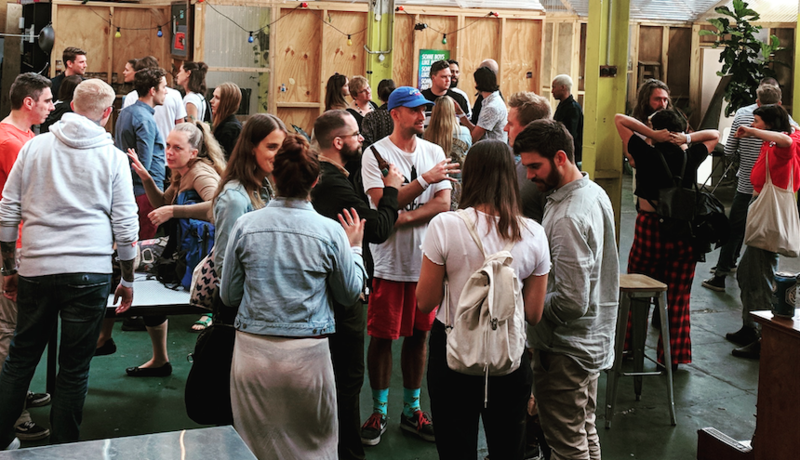 Thank you to our amazing venue, food and beverage sponsors – Doughboys Doughnuts and Tiggy Cafe for providing the donuts and coffee, Two Birds for the tasty ales and a big thank you to The Auteurist & PLOT Media for generously allowing us to use their spaces for Cinemas 2 & 3. Thank you to Madman and Entertainment One for the DVD and 2for1 giveaways. Oh, and of course, thank you to Schoolhouse Studios for having us! A huge thanks to our incredible team of volunteers, without whom the festival could not take place, as well as the horde of supporters who assisted us putting on our event this year. The ReelGood Film Festival will continue to grow and improve thanks to your generous encouragement.